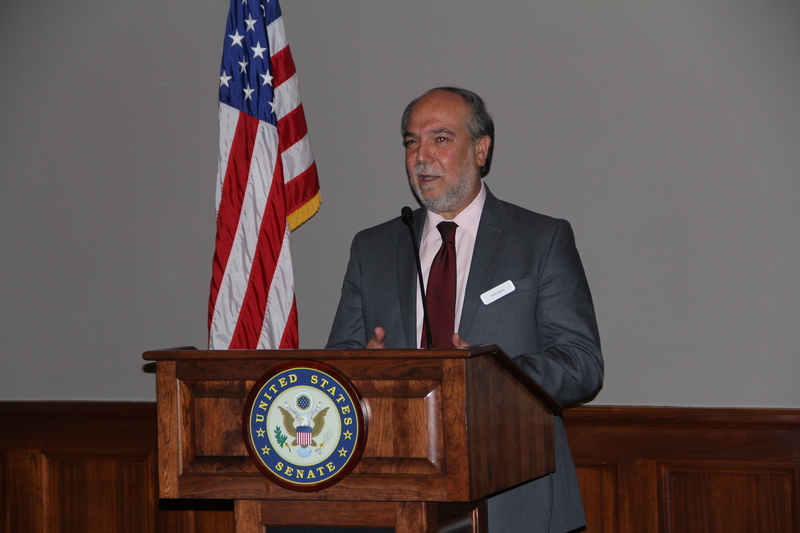 WASHINGTON, DC, June 6, 2018 – Zakat Foundation of America’s Executive Director Halil Demir hosted a lively Capitol Hill Ramadan fast-breaking (iftar) Tuesday, welcoming congressional representatives, diplomats, humanitarian partners, and special guest Ambassador Serdar Kiliçy, of the Republic of Turkey. “We represent American values around the world every day by feeding the poor, bringing them medicine, and touching the hearts of crying mothers and orphans,” Demir said. He spoke at the U.S. Senate’s Russell Senate Office Building while inviting guests to feast on a delectable sunset meal, featuring goat cheese tartlets, lamb meatballs, chicken kabobs, stuffed grape leaves and, of course, hummus, baba ghanoush, and tabbouleh. Olive oil and thyme proved popular and healthful traditional dipping hors d’oeuvres. Demir and Zakat Foundation have begun making the case to congressional representatives about the Muslim American community’s unsung humanitarian striving for their poor and disaster-stricken neighbors at home and throughout the world on America’s behalf. The fast-breaking event follows Zakat Foundation’s recent Ramadan initiative to educate government officials and staff-face-to face about relief strategies to cope with the unprecedented rise of global refugees and the steepening slide into deep poverty of millions in America, and hundreds of millions in Africa, Asia, and the Middle East. “Yesterday, a few of us were together distributing food in a Washington DC neighborhood, and we saw people unable to have enough food to share with their families. And then you understand what it means to stay hungry all day, without water and food,” said Demir, referencing a lesson in charity Muslims take from their Ramadan fast. He cited Jesus’ acts of healing, as recorded in the Quran and the Gospel, as an example. Zakat Foundation’s American aid and charitable work has expanded notably in recent years. It deployed its rapid disaster relief model last August when Hurricane Harvey unexpectedly swamped Houston. Its American Muslim community Caravan of Love hauled truckloads of critical food and assistance to the city’s hardest-hit neighborhoods, and its staff, including Demir, directly distributed the goods to the stricken and helped organize local mosques into shelters. Some 18 days later, Zakat Foundation aid workers became first-responders after Maria raked Puerto Rico. Staging food, medicine, and healthcare professionals in advance in the Dominican Republic, Zakat Foundation’s preparedness let U.S. Navy ships ferry its relief specialists and emergency supplies early to the island. Responders trekked to remote areas to serve unreached victims suffering without food, clean water, medicine, or electricity. Its recent food and basic goods distributions in Washington DC’s Anacostia neighborhood and Chicago’s Chatham community together uplifted more than 600 families. 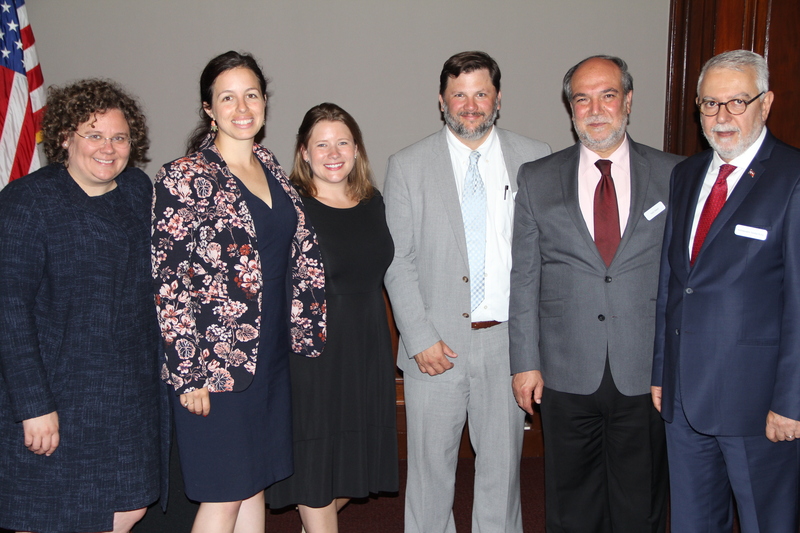 Zakat Foundation donors also fund the increasingly acclaimed innovative mental health care of the Khalil Center, a community psychological and spiritual wellness program establishing clinics nationally.